The wood pile rolled out from under a terrified Kat as she desperately tried to maintain her balance. Bug saw what was happening and knew that she was going to get caught. He couldn't let them catch him or they were all doomed. 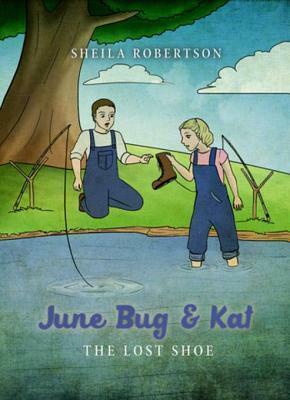 Best friends June Bug and Kat find themselves deep in a country mystery after discovering a lost shoe at the creek. 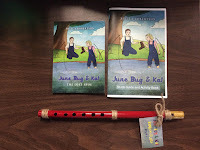 Follow these young detectives as they enjoy their first adventure in June Bug and Kat the Lost Shoe. Sheila Robertson first started writing stories to entertain her younger cousins while spending time at their grandparents in the country. 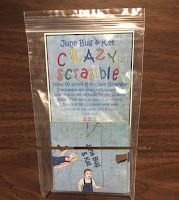 Her child-like imagination and love of writing has produced the new juvenile chapter book series June Bug & Kat. Her first series, Fairhaven Forest, is for younger audiences with 3 books released with the 4th one in production right now. Sheila lives in Fairhaven Forest in rural southern middle Tennessee and daily enjoys all her woodland friends. 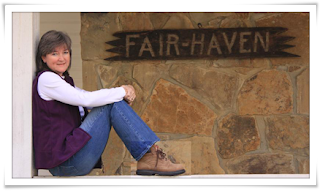 She has written many children’s stories, skits, plays, and Vacation Bible School Programs. Sheila also has a book entitled Alzheimer’s…There Is Hope available online. 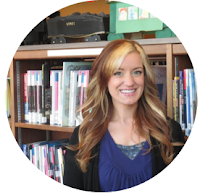 Her favorite past times include: reading Christian Fiction, developing new products to accompany her books, and sitting on the front porch watching the squirrels play. Holy moly did this book keep me on the edge of my seat! For a short, easy chapter book for early readers, I'm surprised at how into it I was! This is a sweet and simplistic tale of two friends who love the outdoors and find a mystery while fishing together one day. If you've ever spent a day on the water, you've likely noticed a missing shoe, a shirt, or other items that must have a story behind them (a tire, perhaps?). Generally this kind of discovery is ignored, because it's totally natural to lose accessories when you're outdoors, right? June Bug & Kat didn't think so when they stumbled upon a very nice boot and some curious tracks in the mud. During the depression, not many people owned such nice clothing. And they most definitely would not leave it behind if it was lost. This is a perfect story for children who are trying to get into chapter books and need a little encouragement. It is complete with illustrations throughout the book that still give it an "early reader" feel, but the storyline itself will engage readers enough to keep turning pages. Robertson did a wonderful job of leaving cliffhangers at the end of each chapter, encouraging the reader to continue. If your child enjoys Scooby-Doo! then they will definitely enjoy June Bug & Kat. The portrayal of country life for children in the great depression was another embellishing element to the storyline. With seamless transitions and compliment to characters, it added depth that made me feel more emotionally engaged and intrigued. I really enjoyed these parts of the story, including the "every day" events like the church picnic. It helped me to visualize and become part of the scenery. June Bug & Kat was a pleasant read, and I'm hoping the added title means we will be seeing more of these two. If you're local, we have this title available in the library along with Sheila Robertson's Fairhaven Forest series. You may also purchase her books directly from the publisher, Tate Publishing.